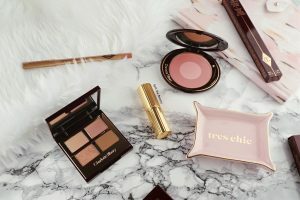 The once-limited edition Pillow Talk collection from Charlotte Tilbury is officially PERMANENT! 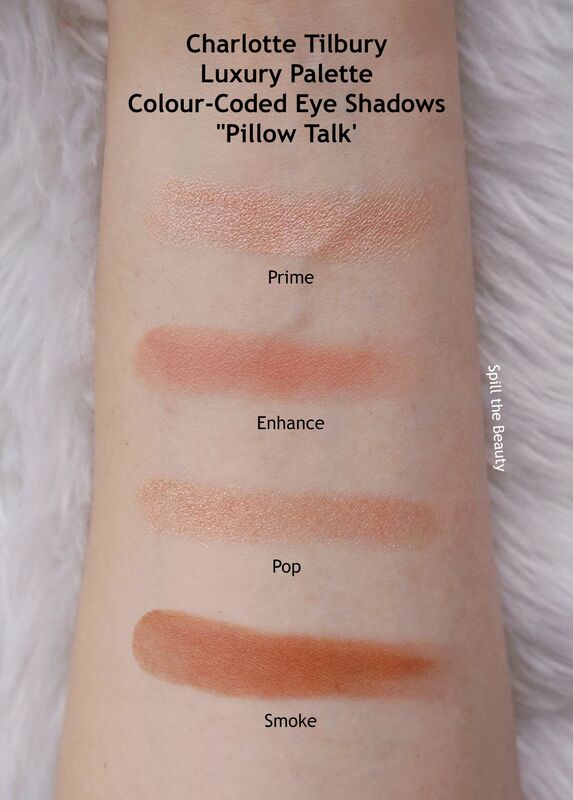 That’s right, the Pillow Talk products are here to stay. 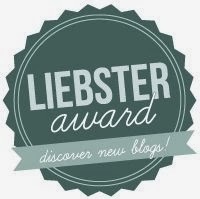 In celebration of this announcement, I’m talking about the full line – the lipstick that started it all, the lip liner, the blush/highlight and the eyeshadow palette. First up is the Luxury Palette Colour-Coded Eye Shadow. 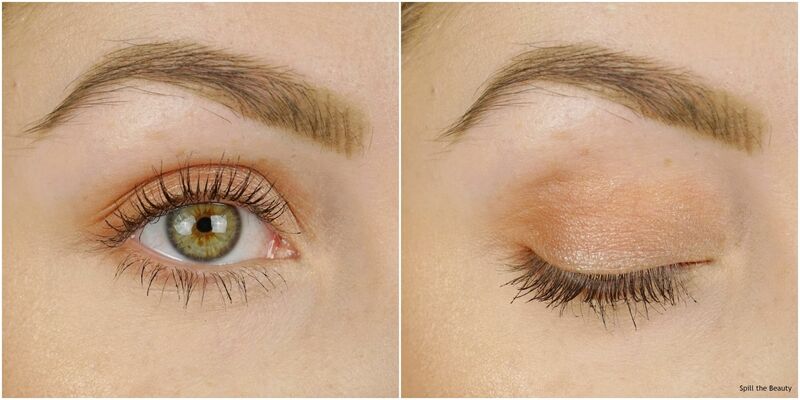 This quad contains four shades – two mattes, one shimmer and one metallic. 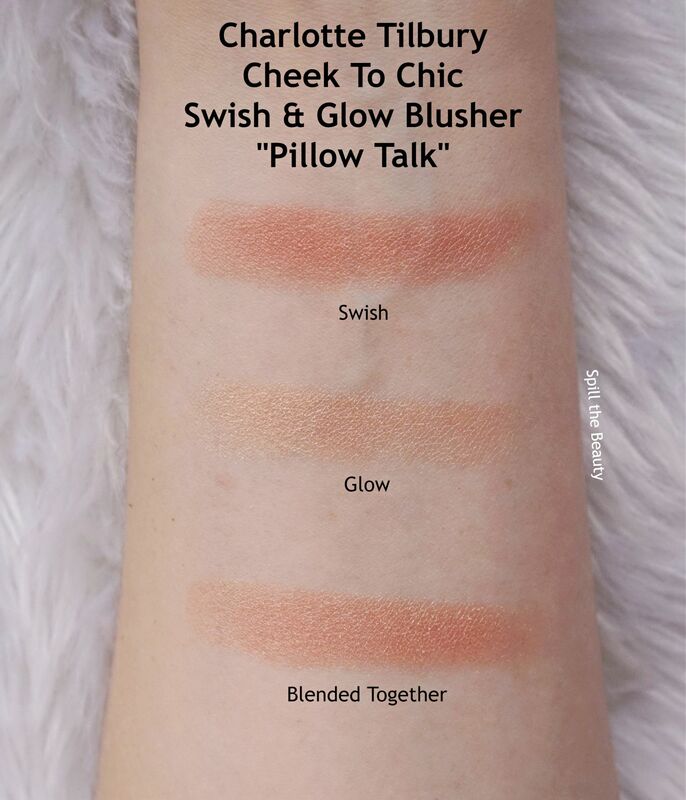 As is every Charlotte Tilbury eyeshadow quad, the top left shade is the prime shade, the top right is the enhance shade, the bottom left is the pop shade and the bottom left is the smoke shade. As far as pigmentation, the colour payoff is less intense than the Stars in Your Eyes holiday palette (which I absolutely LOVE). I’d call the pigmentation in this palette….medium. 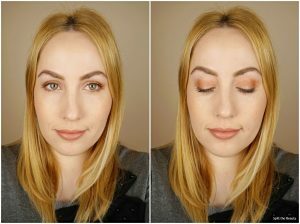 Not so light that it doesn’t appear, but not so present that you apply it and say “wow.” It’s was a very wearable palette for my fair skin tone and although it has four neutral shades, I was able to achieve several noticeably different eye looks with. Because of the fine shimmers in the Pop shade, I did experience some fallout. But, it should be noted every time I wear this palette, I receive compliments on my eyes – the first time I wore it, my eyes were described as “mesmerizing” – ooh la la! I found that the more I played with this palette, the more I liked it. 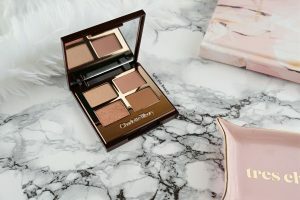 This is a great option if you want to treat yourself to a luxury palette, but want to get good use out of it and rely on it as the eyeshadow you reach for every day. 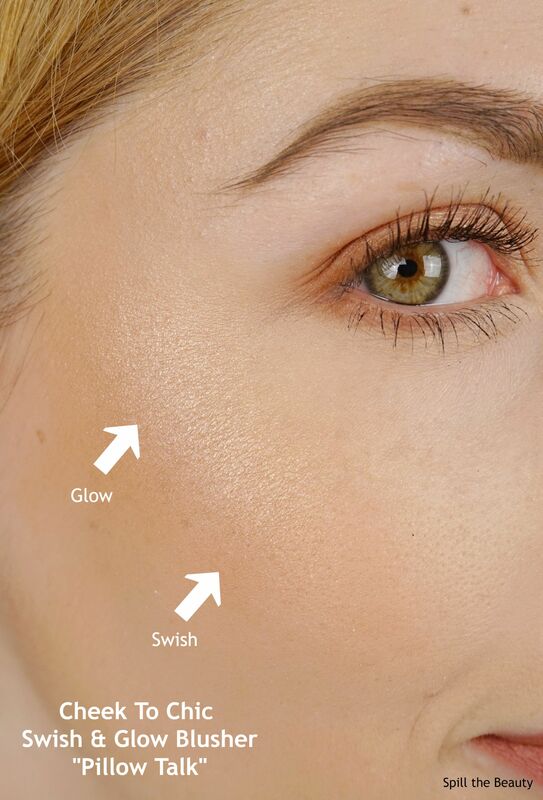 The Cheek To Chic Swish & Glow Blusher contains 8 g of product (same size as a BECCA pressed powder highlight). It comes in an oval-shaped compact and includes a blush and highlight. Usually when a blush and highlight are in the same pan I just mix the two, but for the purposes of this review I applied them separately – to get the blush I swirled my blush brush in a large circlular motion around the perimeter of the pan, and for the highlight, I dipped my brush into the very centre. 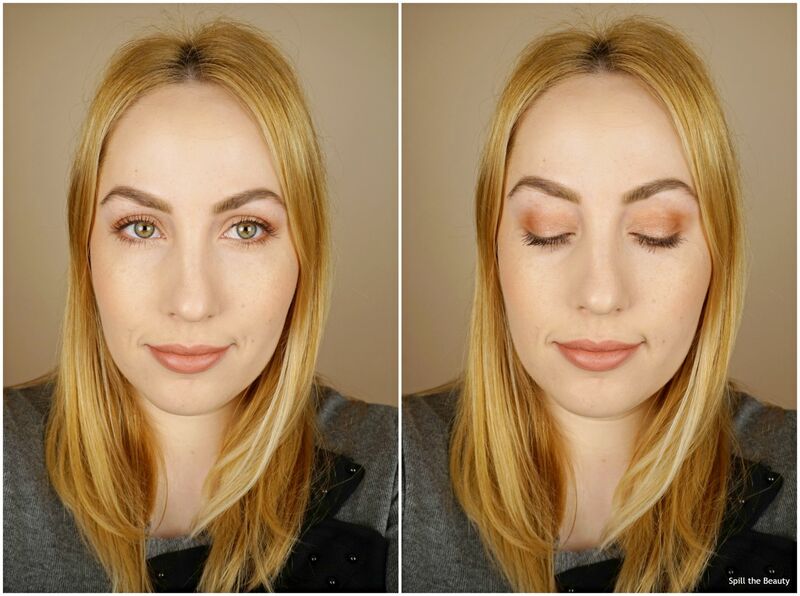 This was my first time trying a Cheek To Chic Swish & Glow Blusher from Charlotte Tilbury and I was pleased as punch. The colour was just beautiful – the blush was a rosy peach and the highlight was a light golden. Moving forward I don’t think I’ll isolate the blush from the highlight, just because separating the two was an extra step, and while the highlight was nice, it wasn’t as powerful as I like my highlights to be. 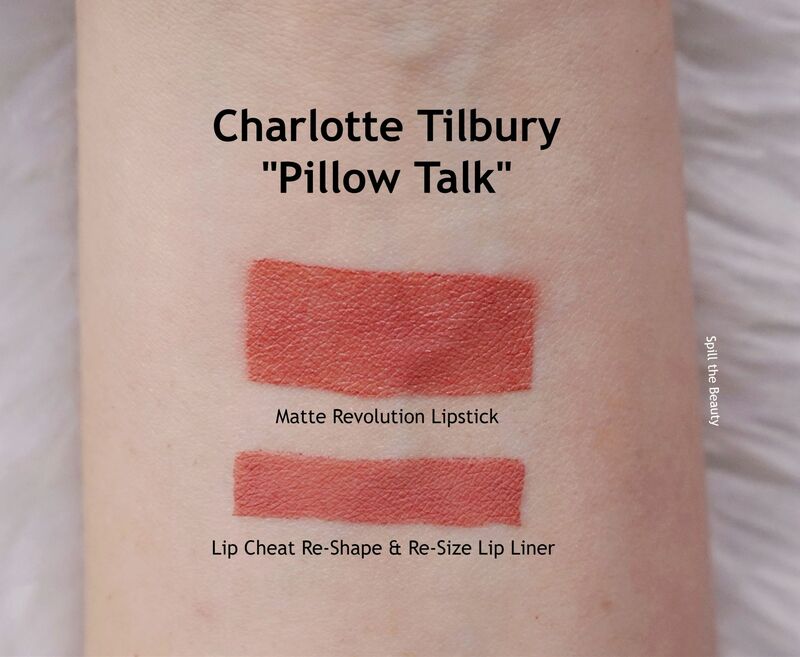 The last piece of the Pillow talk collection is the lipstick and lip liner. 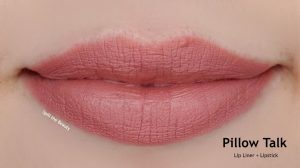 I’ve posted the Pillow Talk Lipstick on my “Lip Swatch Saturday” series, but I wanted to do a fresh lip swatch with the lip liner and lipstick combined. The Lip Cheat Re-Shape & Re-Size Lip Liner is a sharpenable wooden lip liner. It glided easily on my lips and was very pigmented, although drying (which is usually the case for most lip liners as they are super matte). Because it was drying, I’d recommend just lining the perimeter of the lips and not doing that technique where you fill in your entire lip with the liner. 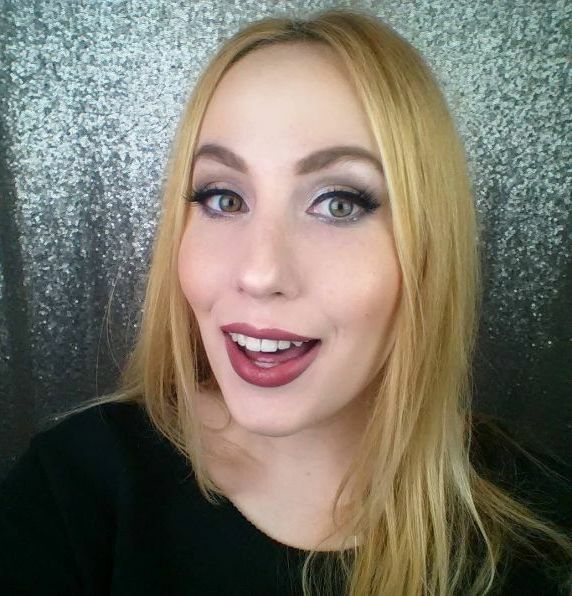 The lipstick was nicely pigmented (nothing too intense) and paired really well with the liner as it was an exact shade match, which made the lip liner much more comfortable to wear. 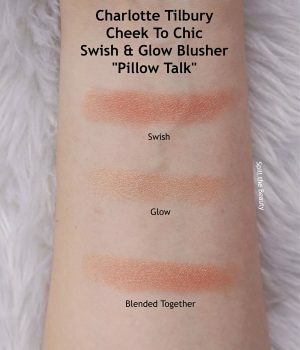 If I were to pick a stand-out product from this collection, it would have to be the blush/highlight. Maybe it’s because it’s my first time trying one from the brand, but wooooow, is it ever pretty and easy to apply! 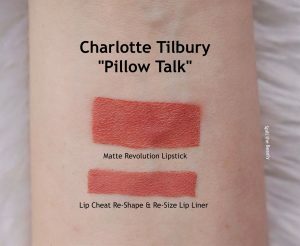 The Charlotte Tilbury Pillow Talk collection is now permanent and can be found online and at Charlotte Tilbury counters. 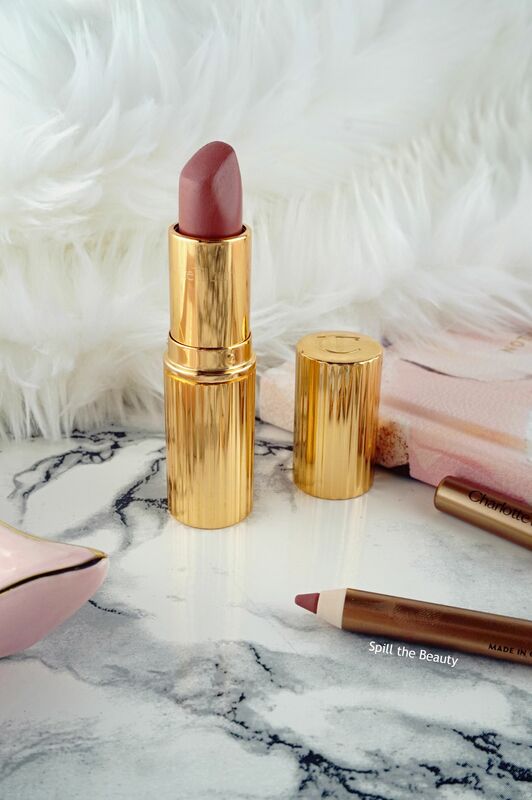 Pillow talk lipstick and lip cheat has been the “one” for me. 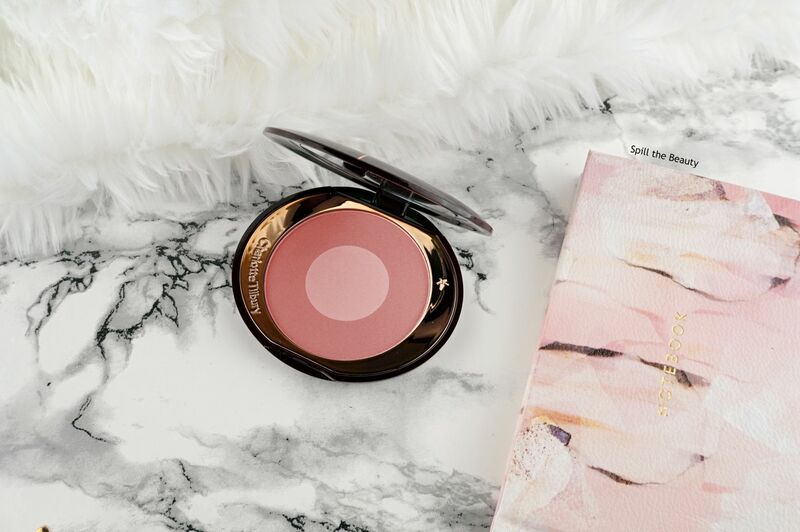 I am inspired by your review to try the blush. This is such a pretty collection! Everything looks so wearable – I want that little shadow quad! I loved the shade of the Pillow Talk lipstick the first time I saw it, I’m happy to see they have expanded the lineup! I loooove the lip liner, especially when I’m tan! I think I need to buy the lipstick now!